1. I’m not going to post the picture. 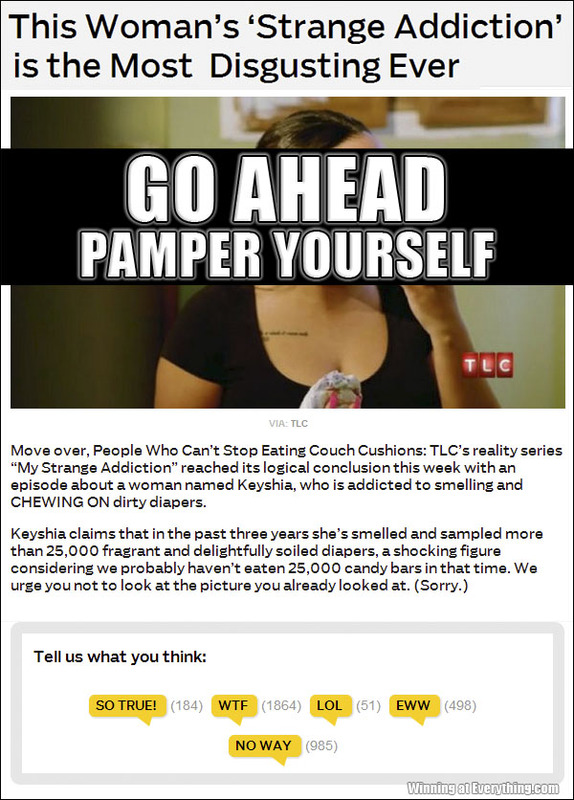 You’ll just have to click through if you want to see a woman munching on a soiled diaper. 2. The 184 people who commented SO TRUE! What exactly is “so true” about this?